We also actively support the work of Friendship Groups, endeavouring to visit their counterparts in the districts and subdistricts, passing on updates and spending some money while we are there. Our current work with Alola and women’s groups is to develop and stay in village based guest houses and homestays, aiming to establish a comprehensive network of village accommodation. 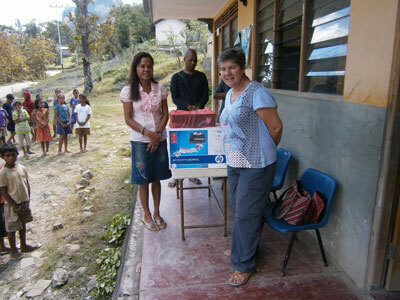 In 2012 we received a donation of 60 recorders for the Loi Hunu school from a NSW high school all thanks to both the school and Helen who had come on one of our tours in 2011. 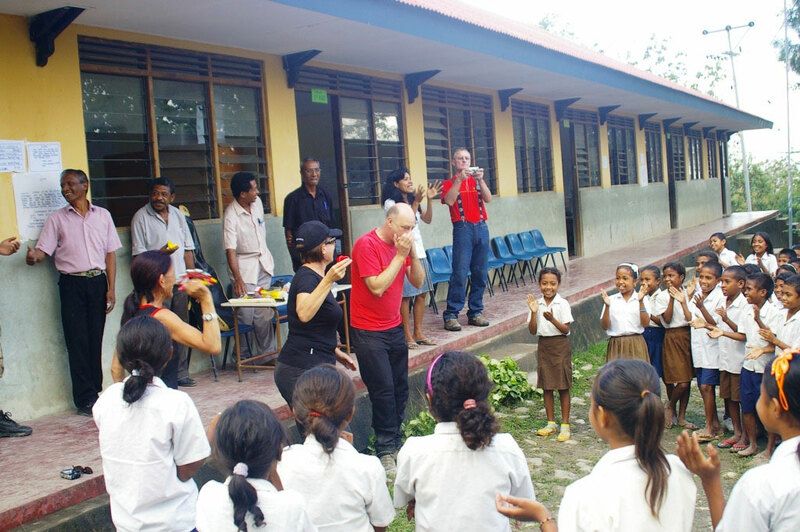 The recorders were couried by Helen to us in Melbourne, shipped to Timor by the Rotary club (Together with some life jackets…see below) and finally delivered to the school in Sepetmber 2012. 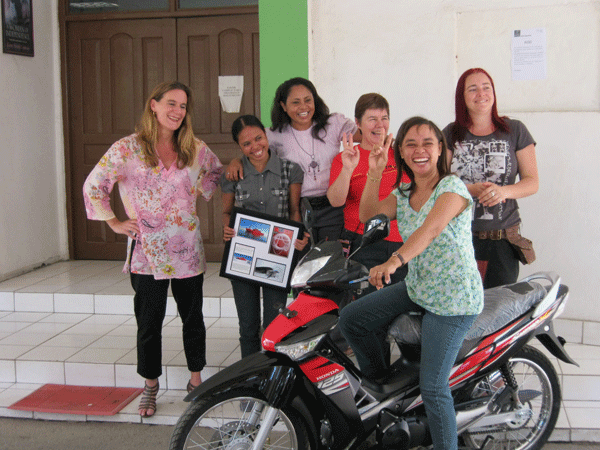 In 2012 we were lucky enough to spend 6 months living in Timor. In between running tours we managed to work on several small scale tourism projects. Life Jackets for hire: On the Eastern tip of Timor Leste is the most amazing little Island called Jaco Island. It takes a short boat ride with the local fisherman to get there. 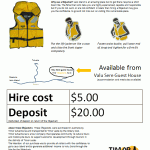 We purchased 10 life jackets in Melbourne and transported them to Timor with the assistance of the local Rotary club. The life jackets were given to Valu Sere, a small co-operative ecolodge on the beach opposite the island for them to hire out and make some money. We developed this poster for Edmundo over a series of 4 visits to Com during our tours with our driver acting as an interpreter. Motorcycle training in Emera district: Dave responded to a request to develop and provide motorcycle training to workers of an NGO in the Ermera district. The training was divided into sessions for novice and experienced riders. Both sessions had a similar structure including some basic theory, a series of riding patterns in a field and then we found some difficult patches of roads to hone more specific skills. The feedback from the sessions was very positive and Dave had a ball! Our thanks goes to Annie who coordinates the group for acting as interpreter. Dave can’t wait to do it again! 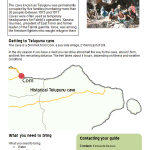 Tourims fact sheets:The tourism ministry has opened a tourism advice service in the new Timor Plaza. We regularly meet with the staff there to discuss tourims ideas. One of the ideas that came out of these meetings was the need for tourism fact sheets about the various districts in Timor. We developed a template and a working example. 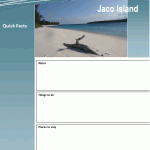 We then produced a series of 10 fact sheets from the template, all using the same style, all having a unique colour and all blank. The staff in the tourism advice service have been working to complete them and the feedback from the staff has been wonderful.